Hi Matt! Please tell us a little bit about yourself. In my spare time I like to listen to music, watch movies, and dabble a bit on the guitar. For my undergrad honours I had to develop a calcium alginate film coating method. This was my first exposure to biomaterials, and I didn’t think the applications were so widespread. However, I eventually started applying for master’s degree courses and I became fascinated by engineered 3D tissues. At the time it seemed like something completely out of the future! 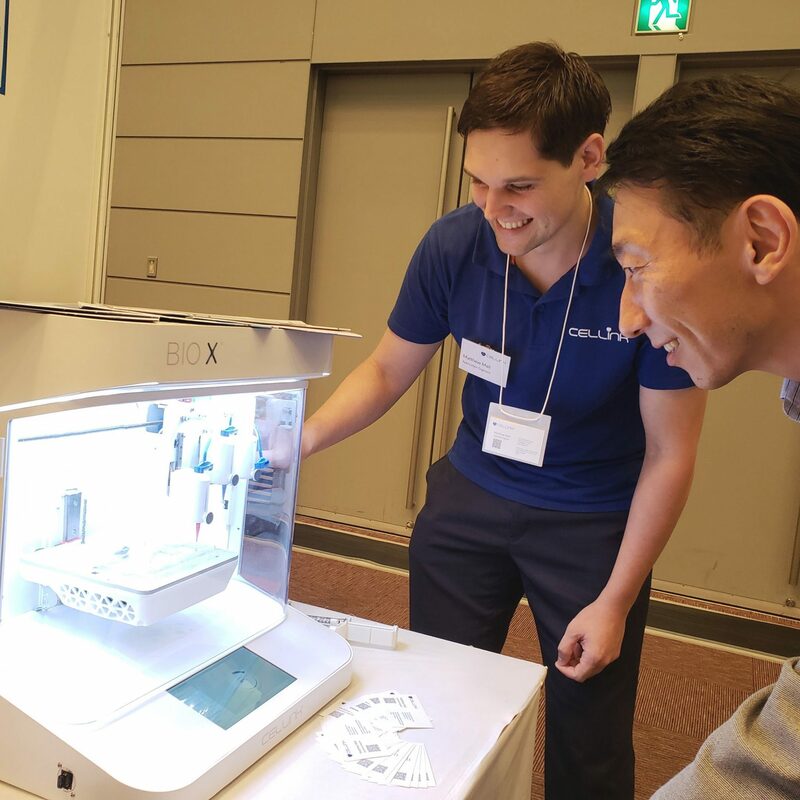 I was initially interested in microfluidics, but the more I was exposed to bioprinting the more I was amazed by the capabilities of the technology. I was intrigued by the flexibility that 3D bioprinting gives for creating tissue models, and now I’m in love with the imaginative ideas coming into the field. It feels like if you can dream it up, you can print it. Most people stop thinking about the applications of bioprinting after “creating realistic tissue models and organs”. The ability to create new organs in a lab and implant them in patients with no host rejection will completely change medicine but, I always think, why stop there? I hope to see bioprinting used in collaboration with innovative science and engineering ideas to create enhanced tissues, like bone tissue grown with embedded nanoparticles for strength, or a bioprinted heart that can transmit information back to your smartphone. While it may seem ridiculous now, technology is moving at an incredible rate, and I would be surprised if we didn’t see technology-enhanced 3D bioprinted structures within my lifetime. When I was a child I refused to wear shoes. I didn’t wear shoes for about 6 years. Eventually, my parents forced me to wear shoes to school, but as soon as I was at school I would just take them off and run around barefoot. When my mum would ask “where are your shoes?” I would say “In my backpack!”. My dad would call me a hobbit. I wanted to be a marine biologist. For some reason I was in love with dolphins, and when I was 9, my auntie sponsored a dolphin for my Christmas present. I always received pictures and updates about my dolphin, and I would imagine that I could go play with him whenever I wanted. I dreamed that I would be the first person to capture a live colossal squid! Over time I learned that I’m no good on boats and don’t like the ocean that much, so that dream got scrapped. I would not age or grow sick. I want to see all the incredible technologies that are developed in the future and reach a time in human existence where we could travel safely and easily anywhere in the cosmos.